I was sitting on a bench drinking good strong coffee outside a little combination general store and souvenir shop on California Route One sixty-some miles north of San Francisco in a tiny burg called Bodega Bay--bodega is Spanish for cellar, warehouse, and grocery store, take your pick. My view was of a small muddy bay surrounded by vacation shacks, probably owned by people from San Francisco who don't like their hometown any better than I like it. That's the WHERE part of all this. The WHY part is a little more complicated. The short version is a friend, another LA private cop, might be in trouble. Will Gardner came up to this mud hole on a case, and his new bride, Betty, expected him back, or at least a telephone call by now. She has not heard from him and is understandably worried. I decided to look into Will's absence and try to put Betty's mind at ease. At least that was the plan, but so far I wasn't having much luck. I began with Will's picture in my pocket and asking in places like the general store if anyone had seen him. They hadn't. That struck me as strange. Will came up here to look for a suspected smuggling operation. Like me, he's a city guy, and folks in backwater burgs like Bodega Bay tend to remember city folks who come nosin' around in their business. All right, so move on to step two of the Acme Mail Order Detective Course. It says, "Look around." I hoped I wouldn't need my official Junior Sherlock Holmes magnifying glass for looking around because I left it home. I tossed my empty cardboard coffee cup into a trash can, climbed aboard my Chrysler business coupe, and set off on a circumnavigation of Bodega Bay. 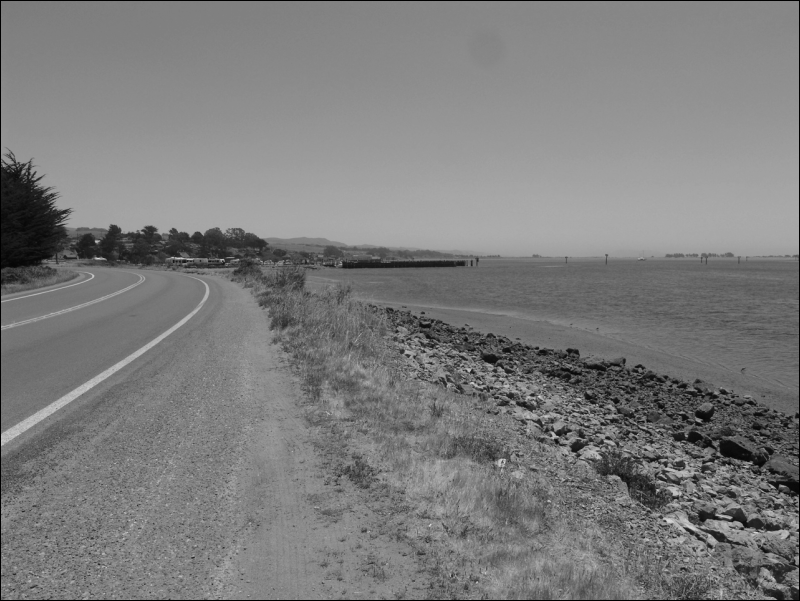 From northbound California Route One, I angled left and followed Westshore Road around to the west shore of Bodega Bay, where I came to an area known as Spud Point. Hey, don't look at me, I didn't name the place. 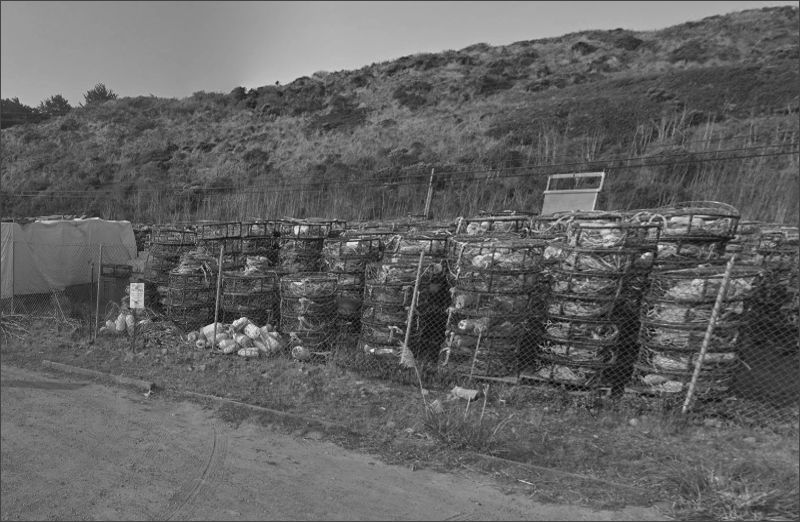 Spud Point was home to a couple of fisheries, including one joint with at least an acre of crab traps piled up outside their building. If you are a crab, best stay clear of Bodega Bay. Actually, that's not bad advice even if you aren't a crab. Be that as it may, I followed Westshore Road nearly to the mouth of the bay, where it took off to the west again and made a loop past cliffs overlooking the Pacific Ocean shore. The actual shore was about a hundred feet below the top of the cliffs. I pulled to the side of the road for a gander. 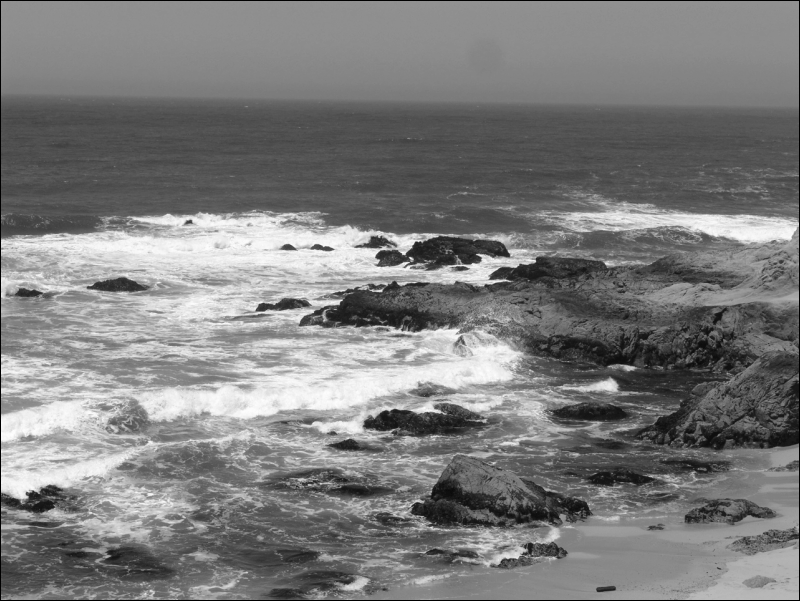 I watched the mighty Pacific Ocean throw big waves at the rocks, sending geysers of white spray into the air. Mother Nature showing off always improves my mood. So, it was with a substantially improved attitude that I climbed back into my Chrysler. My improved attitude didn't last long. I was on a peninsular plateau as flat as the tables at the Hollywood Boulevard Billiards Academy. Maybe flatter. The only objects up there were randomly scattered clumps of Cypress trees. Because I could go no further around the bay from where I was, I would have to retrace my steps to the east side of the so-called bay and proceed south from there. Crossing the plateau on my way back to Spud Point, I noticed two paths of flattened weeds about the same distance apart as automobile tires. They led to a clump of Cypress trees about 200 feet off to my right. Being a naturally curious sort of fellow, I wondered why anyone would want to drive over to those Cypress trees. Rolling along slowly and carefully so as not to leave any necessary Chrysler automobile parts behind, I followed the path. 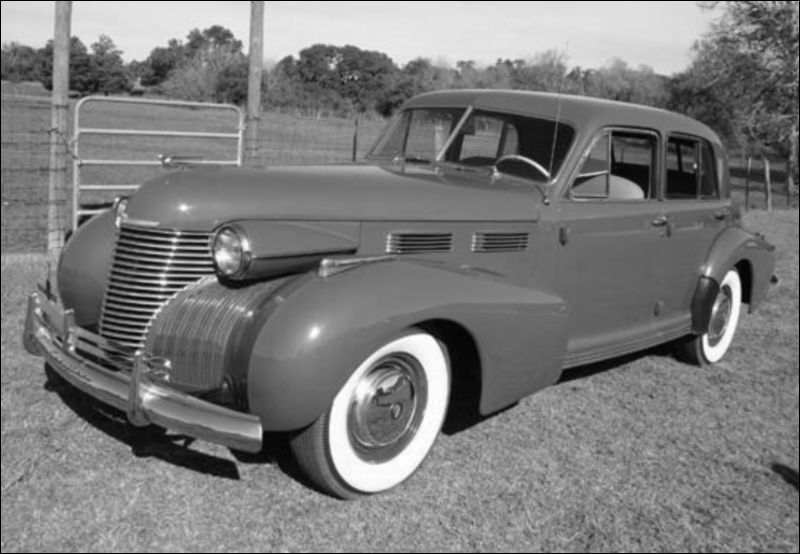 This particular clump of Cypress turned out to consist of three trees and one maroon two-door Hudson Terraplane coupe. 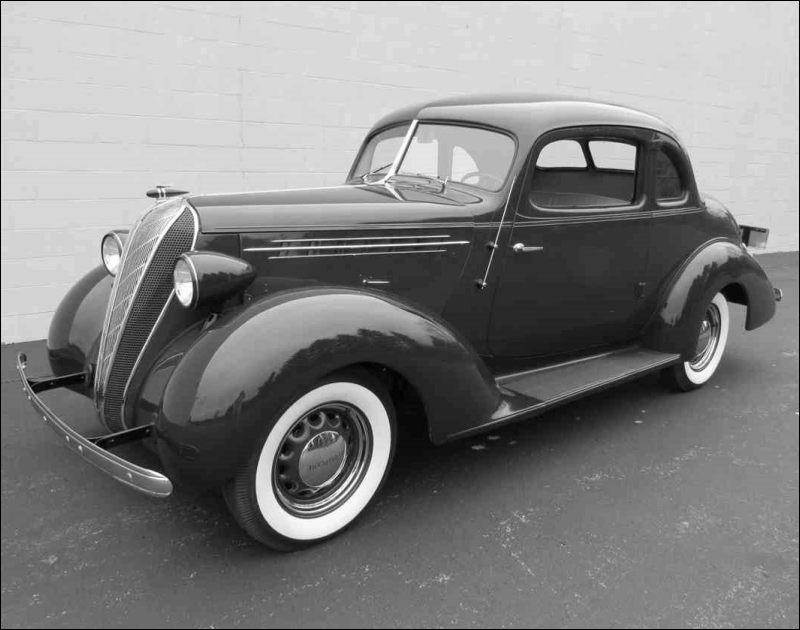 I was fairly certain it was not a coincidence that Will Gardner drives a maroon two door Hudson Terraplane coupe. The Cypress trees formed a canopy over my head, making the grove dark and gloomy. I sat in the gloom and watched for a few minutes to make sure I was alone, and then walked over for a closer look at the Hudson. The driver's door was unlocked. I opened it with my handkerchief to preserve any prints that might be good to have later on and took a look at the plastic automobile registration holder wrapped around the steering column. It was Will's Terraplane, all right. The keys were in the ignition, but there was nothing else of note inside the car. I unlocked the trunk and found a small travel bag. Inside the bag I found Will's Colt .45 caliber semi-automatic. It was loaded with eight un-fired rounds. I shook my head. If you feel you have to take a gun along, why the hell leave it in the trunk where you can't get to it if you really need it? I put the keys back in the ignition and closed up the Hudson. There was nothing else to see, so I climbed into my Chrysler and drove back to the overlook to watch the waves a while longer. I also wondered where the hell Will had gotten to. It was a pretty safe bet Will didn't park his car out of sight in a grove of Cypress trees two hundred feet off the road, and then just walk off and leave it, keys and all. I turned my mind to the case Will was working, or what little Betty could tell me about it. She said Will called it a "smuggling" case, but he didn't say what was being smuggled or even if whatever was being smuggled was coming into or going out of the country. The only other thing about the case she recalled him saying was that his client was some rich guy in San Francisco. That was the sum total of what I knew about why Will Gardner had driven more than 400 miles to Bodega Bay. The first question that meager description of Will's case brought to mind was how come somebody hired him to investigate a crime that rightfully belonged to the federal government? One answer I came up with was the rich guy in San Francisco had some special interest in the smuggling and didn't think the government investigators, if there were any, were getting the answers he needed. Or maybe he wanted to know if the investigators were closing in on the smugglers, which could conceivably include Will's client. A particularly large wave kicked up a column of spray that darn near reached the top of the cliff. I watched the rain it created fall back to splatter on the rocks and decided to go back to what I'd been doing when I found Will's car, looking around, only this time I would try the east side of the bay. I retraced my route past Spud Point and around the top of the bay to rejoin California Route One. It took me south through the little village where I'd stopped for coffee and to a turnoff labeled Doran Point. 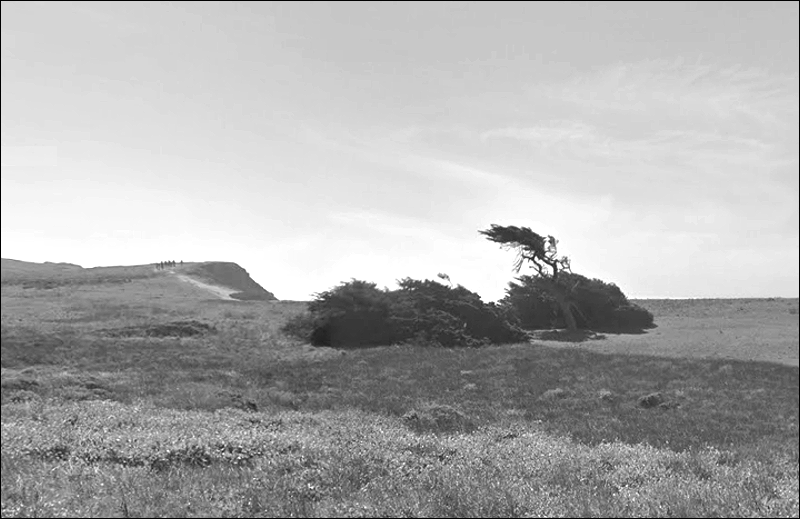 I followed the gravel road that wandered around in a more or less westerly direction before eventually bringing me to the tip of a curving spit of land that formed one of the two jetties at the entrance to Bodega Bay. A wide spot in the gravel road was littered with more Cypress trees and a sign announcing my arrival at "Doran Point Campground. Use fee $1.00/per night." I got out of my Chrysler to take a look around. No more than a few hundred feet across, the wide spot in the spit was unique in that it's northern edge was a beach on the bay, and its southern edge was an ocean beach. Both were kind of gravely and not very inviting as beaches go, which might explain why I had this paradise all to myself. Well, almost to myself. A small harbor occupied a tiny cove west of the campground. That harbor consisted of one pier extending some distance into the bay so as to accommodate boats that drew more than three-inches of water. One such boat was docked there. Even though I'm a city boy, I know a little something about boats. My seafaring credentials were earned during the summers of my teens as a deckhand on the Lizzy S, a harbor tug named for my mother and skippered by my dad out of San Pedro. Based on that experience, I identified the forty-foot boat at Doran Point as some sort of workboat. Its steering station was inside a small deckhouse that extended forward to provide space for crew quarters. I also took note of a large fellow in a nautical-looking striped T-shirt and dungarees lounging against the aft railing of the boat. Even though I couldn't prove it from where I stood, I was willing to bet money he had anchors or mermaids or some such maritime designs tattooed on both arms. He was definitely the tattoo type. Since I was there to look around and the workboat was the only thing out at Doran Point to look at, I strolled toward the pier. When it became clear to the fellow aboard the boat that my destination was the pier, he had a rather startling reaction. He leaned over and came up with what looked like a Winchester 30-30, which he proceeded to aim in my direction. I had just enough time to throw myself behind a convenient Cypress before he fired. His slug kicked up a puff of dirt from just about where I'd been two seconds earlier. Unless the fellow was a really bad shot, the placement of his slug told me he had not aimed to kill, only to scare. I peeked around the trunk of the tree. The fellow was still there and his rifle was still aimed in my direction. I shouted, "Hey! What the hell are you shooting at?" A booming bass voice bellowed back at me. "You! Now walk straight back to your car and get out of here. If I have to shoot again, I'll put the slug right between your eyes!" I tried a friendly approach. "What the hell is the matter with you? I was just . . . ."
Cypress bark splintered off my tree as another shot disrupted the serenity of Doran Point. Well, hell, I'd given Popeye a chance to be friendly and gotten nowhere. Now I would have to try an alternative. I figured there were two good reasons for doing so. First, I was as likely as not to get a slug in the back if I followed his instructions. Second, I was now determined to know what was aboard that boat he didn't want me to see. My previous look around the tree trunk told me I was roughly 150 feet from my target. That's just about the maximum effective range of the snub-nosed Smith & Wesson Police Special in my shoulder holster. If that didn't make the shot hard enough, I would only get one try and no time for precise aiming, windage, and all that jazz. My best chance was to fire from a prone position, making myself as small a target as possible from the most stable position. Still behind the tree, I dropped to all fours, pulled the Smith & Wesson out of its shoulder holster, and stretched out on the ground before wriggling into firing position. As I hoped, it took Popeye a minute to spot me on the ground in the shade of the tree. By that time I was lined up for what I hoped to hell would be a straight shot. I squeezed the trigger a half second before he did. His slug planted itself in the dirt about 12 inches in front of my nose. My slug put a hole in his snazzy striped T-shirt just about where his heart would be if he had one. Popeye and his Winchester crashed to the workboat's deck. I stayed where I was while my pulse returned to a more normal rate and I watched to see if Popeye had any pals aboard. When nobody showed on deck, I got to my feet and began walking cautiously toward the Felicity Anne. 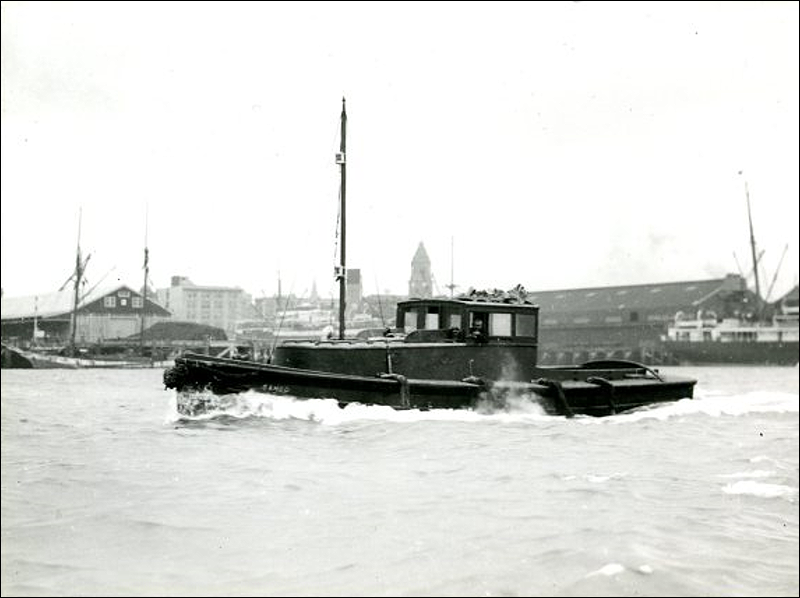 That was the name painted in shaky letters across the stern of the workboat. I hopped from the pier to Felicity Anne's deck and knelt next to Popeye. No amount of spinach was going to help him now. I took no pride in killing the fellow, but he left me no choice, or so I rationalized. Another good reason for killing the fellow then made itself known in the form of a thumping sound from the deckhouse. I cautiously opened the door and looked in. It turned out the thumping was actually coming from a bunk in the cabin ahead of the deckhouse. I removed Will's gag and cut the ropes binding his wrists and ankles. "Damn, Johnny! I don't know what the hell you're doing here, but I'm sure glad to see you!" Helping Will up into the deckhouse, I said, "You can thank your bride. She missed her hubby and sent me to find him." Will grinned. "I knew marrying her was a good idea!" "Yeah, but right now a better idea is getting the hell out of here before whoever owns this tub comes back. I shot the guy who was guarding you up on deck, but there have to be more of them." Nodding, Will said, "There are, at least three more. Let's go." I followed Will out of the deckhouse and he stopped in his tracks. "Too late, Johnny. That's them in the gray Cadillac." A big shiny Caddy sedan parked in the campground area near my Chrysler. "Looks like we might have to fight our way out of here." "With what? All we have is your thirty-eight." "And your guard's Winchester 30-30 there on the deck. That ought to even things up a little. I saw shells for it in the deckhouse." Thus armed, we ducked behind the Felicity Anne's gunwale and watched our adversaries watch us. There were three of them, two guys who could have been Popeye's twin brothers and a short guy dressed to the nines right down to his spats. They were standing behind their Caddy. The big guys were holding Thompsons and pacing like caged coyotes. Will said, "They don't seem very anxious to mix it up." "That's because the boss man is smarter than he looks. He knows the locals up here expect to hear occasional gunshots from hunters and the like, but a full-on gunfight would bring the local cops or sheriffs or whatever they use for law enforcement in this godforsaken place on the run. In case you haven't noticed, there are only two ways out of here. We are currently occupying one of them, which leaves the road the sheriff's deputies would be using to get out here." Will nodded and I added, "While we're waiting around for them to make their move, tell me what the hell this smuggling case you're on is all about, like what are they smuggling?" "All right, I'll bite. What makes Chinese people so valuable these mugs are importing them illegally?" I continued watching the smugglers standing behind their Cadillac while Will explained some political facts of life to me. "Two things make them valuable. First, they work dirt cheap, and second, a thing called the Chinese Exclusion Act, which became a permanent law in 1902. It severely limits the number of Chinese who can immigrate to the US." "Let me guess. The labor unions were behind that dandy little law." "You guessed it. To manufacturing companies that need a lot of manpower Chinese workers are like gold." "Yeah," I said, "Gold at the price of tin." Glancing up, I saw the Cadillac leave a cloud of dust as it turned around and headed east. "Well, will you look at that?" I used a pair of binoculars from the helm to watch the smugglers' Cadillac all the way to Route One. From there, they headed south. The rats were abandoning ship, literally. We tidied things up on the Felicity Anne, and I drove us into the village. On the way, Will finished the story behind his case. The "rich guy" in San Francisco who hired him to look into the smuggling of Chinese workers into the US was a fellow named Tang Hong, a businessman with solid connections to Chinese leaders, including Generalissimo Chiang Kai-shek. As it happens, I knew the Tang family. A while back I was hired to handle a case involving Tang Hong's father, Tang Fong. Will used a payphone outside the Bodega Bay Sonoma County Sheriff's substation to call Betty, and then we went in to square things with the local constabulary. That took some doing because I'd killed a guy in their jurisdiction, something of which they took a dim view. Their investigation lasted most of two days, but by that time we managed convince them we were the good guys and they bid us a fond farewell. Out in front of the substation, Will leaned on the fender of his Hudson and said, "Thanks again for rescuing me, Johnny. 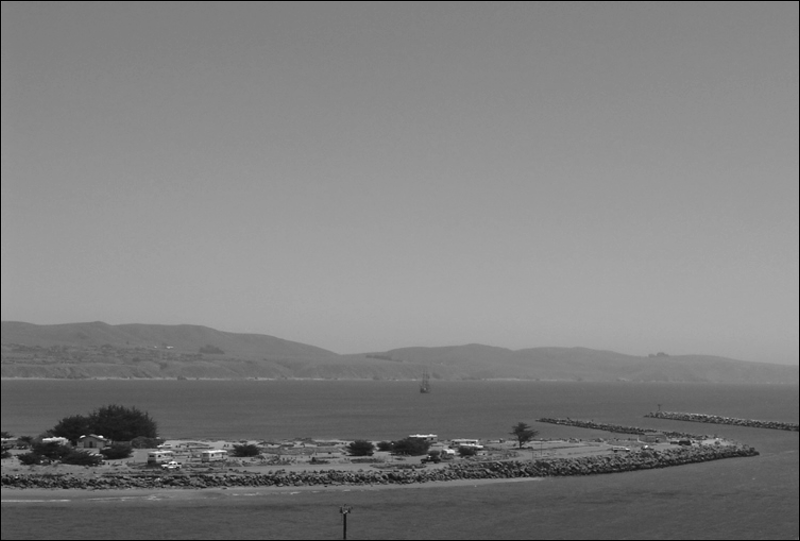 If it weren't for you, I'd have probably ended up at the bottom of Bodega Bay." "Spending eternity in this godforsaken place is a punishment I wouldn't wish on anyone. You headed for your client in San Francisco?" "Yeah. I have some answers for him in exchange for which he will write me a big fat check." "Good. Stop by the office when you get back to Hollywood. You can buy lunch." After that we shook hands and headed our separate ways. I, for one, was delirious with joy to be leaving Bodega Bay in my rearview mirror.